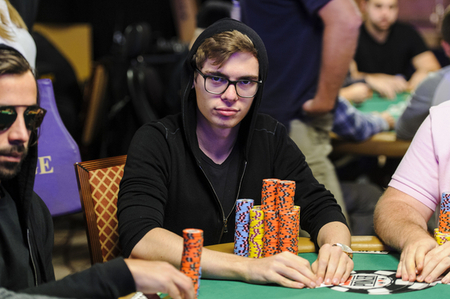 Partypoker has signed pro player Fedor Holz in a bid to create a greater connection with the poker community and tap into the high stakes market. Following the signing of English pro Patrick Leonard back in April, 2017, partypoker has added another big name player to its team of representatives in the form of top ranked German pro Holz. Currently ranked number one on Germany’s all-time money list with $23.3 million in live tournament earnings, Holz will add another layer of credibility and experience to Team partypoker. As well as bringing a world-class résumé to the table, Holz is a player that has strong ties both with the German poker community as well as respected players on the European scene. This presence with novice and pro players alike is something partypoker’s Managing Director Tom Waters wants to utilize. As part of its ongoing mission to innovate and bring new player-friendly features to partypoker, Waters believes Holz can work alongside Leonard to form a bridge between the site and its players. “Fedor will help us get closer to the players and will provide us with valued input as we continue to make changes,” Waters said on the partypoker blog. In addition to helping advise on and disseminate ideas for partypoker among low and mid-stakes players, Holz will be contributing to a new series of high roller events. Having played in and won multiple super high rollers, including the 2017 WSOP $111,111 High Roller for One Drop, Holz understands this market extremely well. Between his own experience and that of his German compatriots, such as Christoph Vogelsang, Ole Schemion and Philipp Gruissem, Holz should be able to bring plenty of ideas to the table. One area in which he’s looking to make an impact for personal reasons is Sam Trickett’s online high stakes games. 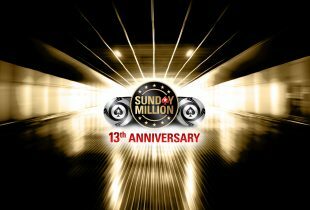 When partypoker signed Trickett in November 2016, one of the main ideas behind the move was to launch a new selection of high stakes games. Much like Full Tilt and PokerStars used to draw crowds of spectators when their $200/400+ cash games were running, partypoker is aiming to create a similar buzz. After hosting an invite-only Pot Limit Omaha game on August 30, Trickett told High Stakes DB that Tom Dwan and Phil Ivey have expressed interest in joining the action. The latest game involved a number of familiar names, including Viktor Blom and Tony G, but Trickett believes future showdowns could see more pros ante-up. Recent recruit Holz told the partypoker blog team soon after his signing that he’d love to get an invite and help bring more eyes to the site’s emerging high stakes cash game scene.